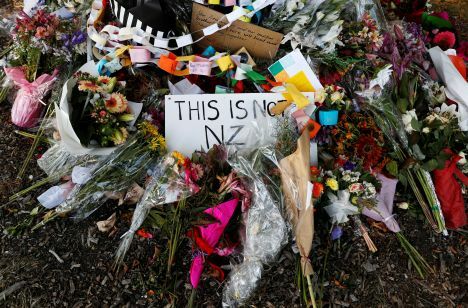 U.S. social media platforms Facebook and YouTube have been sued by a French Muslim organisation blaming them of inciting violence by allowing the streaming of footage of the recent New Zealand massacre online. Canadian-British news agency Reuters reports on Monday, March 25, the French Council of the Muslim Faith (CFCM) said the companies had disseminated material that encouraged terrorism and harmed the dignity of human beings. The two companies did not immediately comment on the issue. The attacks at two mosques in New Zealand on March 15, which killed 50 people, was livestreamed on Facebook for 17 minutes and then copied and shared on other social media sites. The American social media giant Facebook stated it raced to remove hundreds of thousands of copies of the video. Despite this footage could still be found on Facebook, Twitter and Alphabet Inc’s YouTube a few hours after the attack, as well as Facebook-owned Instagram and Whatsapp. As to the shootings, a man has been charged with one count of murder over the Christchurch shootings and will next appear in court on April 5.
as a result of these horrific shootings/massacre in Christchurch New /Zealand.